One of the clearest examples of why the Advocacy Network is such a necessary service is the lottery scam. Most are familiar with the so called Nigerian chain letter and such, but the Jamaican Lottery is a multi-billion dollar scam perpetrated upon Americans every day. Yes it is hard to believe that anyone would fall for this scam, yet highly educated and very sophisticated people fall victim to this scam each and every day. The phone rings in American households regularly with the GREAT News of having won a multi-million dollar lottery. Just like winning the Publishers Clearing House the appeal is to good to ignore. I recently watched a documentary on the depth and reach of the Jamaican lottery scams. It was even more devastating then I had imagined. To date we have saved members in excess of $6M and the Jamaican lotteries have pulled in 100’s of BILLIONS! The psychological triggers are all put in play for this scam which is mainly perpetrated via the telephone. (There is a few versions via email as well) Those who receive these calls are already identified as being highly susceptible to this type of scam. In case you are not aware there are lead lists commonly referred to as sucker lists. The way you end up on one of these list is through email and mail offerings in which you willing provide information and possibly a few dollars ($2,$5,$10,$15 or $19) these offers could be for information, contests or other games of chance. Once you respond it immediately identifies you as a potential victim. At this point I must sadly say you have one foot in the grave for victimization. The boiler rooms purchase the lead lists and make the calls. “Congratulations YOU have won ——-Lottery! Do you know how much you have won in CASH and PRIZES? (when you answer this question you are being turned) Wow you have won $19M dollars in the lottery and another $375K in cash plus a 2016 Mercedes (pick a class). So, lets discuss how you can claim your winnings and prizes. There are a series of taxes and expenses needed to claim this bounty so let me explain. I won’t continue to provide you the rest of the phone call but I will tell you of one very sad story. There is an elderly widow (many of these scams are perpetrated upon the elderly and lonely) in N. Dakota who received the call and decided to take a chance on the first small payment required for claiming purposes, this payment was $3,000. Now, that can sound like a great amount or possibly a small amount depending on your perspective of money. The next stages of payments she made were $14,500, $21,000, $37,000, $59,000 and even one cash transfer in excess of $100,000. All totaled over a period of 5 months she paid out over $400,000! which was her entire retirement fund plus Life Insurance received on the passing of her husband of 61 yrs. Before you say WOW, that would never happen to me, understand that this lady was a long time business owner and fairly savvy with money. She fell victim to hope which escalated into greed and this is something that can happen to each and every one of us. Everyone is susceptible to this type of psychological manipulation, of course some people are more susceptible. (At the Advocacy Network we have designed a quiz that will identify just how susceptible you may be to financial victimization). 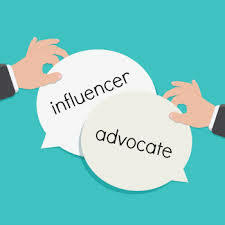 The best solution is a basic membership with the Advocacy Network, we will fully inoculate and insulate you from all forms of financial victimization. We can make it virtually impossible for anyone to victimize you and your loved ones. The most incredible point is that membership is less than 65 cents per day. Let me repeat that 65 cents per day to be fully inoculated and insulated against scams, fraud and predatory sales tactics. Let me ask you would it be prudent to remain exposed to this massive financial risk or simply invest 65 cents a day for proactive protection? 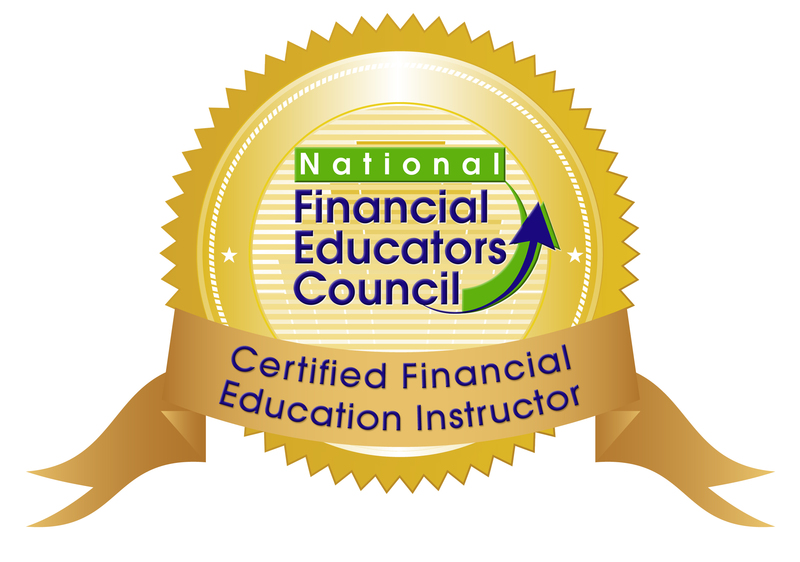 As a uniquely positioned financial network the Advocacy Network provides a wide range of financial literacy education as well as the psychological triggers commonly used to victimize people financially. Here we discuss a common sales manipulation used by scammers and sales professionals. One of the exceptionally useful psychological triggers is the simple use of a person’s first name. Our first name is an incredibly powerful emotion initiator. We all enjoy being recognized and our name is a powerful acknowledgement of our identity. The ego is massaged when you are called by your first name. The last name isn’t nearly as effect as it doesn’t trigger the same emotional impact. Remember back in HS when the teacher might have called you by your last name, it wasn’t quite symbolic of your identity within the group, but getting that call on the first name created a warm stream of good feelings didn’t it? Sales people have long been trained to use a prospect’s name in order to develop a camaraderie or sense of association. Once you have passed the threshold of trust it is quite easy for someone to use persuasive triggers to get you to make a decision. Financial decision making is one of the most important processes an individual faces. Mistakes with money are common and many times these decisions are gravely impacted by a process of manipulation. This key manipulation trick has been used for centuries by those wishing to separate you from your money. Now, let’s be clear the psychological triggers are not always used for manipulative purposes yet it is vital that you understand what the psychological triggers are so you can determine if they are being used to manipulate your decision making process. It is always what you don’t know that is of the greatest potential harm to you. The other difficulty is that much like hypnotism your behaviors become an unconscious event and are grooved in which make it quite difficult to defend against these behaviors. You have developed a financial decision making process whether you are conscious of it or not. All that needs to be done to manipulate this decision making process is for the other person to identify your process. A few key questions at the right time can easily identify anyone’s process. The first barrier to cross is rapport. This barrier is the initial protective shield everyone puts up. It is the easiest of the shields to pierce and it also triggers the unconscious defense mechanisms to stand down. The most common trigger to use is the person’s first name. Upon crossing this barrier there is immediate rapport and a sense of ease within a conversation. If it is being used for manipulation you will find your name attached to certain concepts the manipulator is seeking to associate with your strong emotional state triggered through the use of your name. 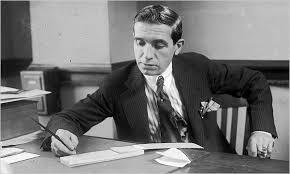 The manipulator will bracket you name around the decision making question when the time comes to close the deal. The only one capable of short circuiting this process is you. The only protection you can create is a total knowledge of your financial decision making process and a conscious awareness of what the psychological triggers are and how and when they are used. The Advocacy Network inoculates and insulates our members against scams, fraud and predatory sales tactics. 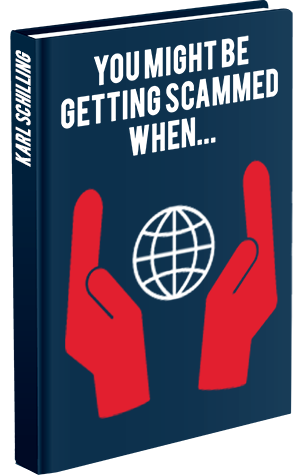 At the base of our work is the new book “You Might Be Getting Scammed When….” You can be totally inoculated and insulated against scams, fraud and predatory sales tactics and consistently make smart decisions about money. The cognitive bias that describes our common tendency to place too much emphasis on one trait or piece of information when making a decision is called anchoring. This occurs during the normal decision making process when we rely too heavily on a specific piece of information which governs our thought process. Once the anchor is stamped in our mind there is a bias set towards adjusting all information to reflect the anchored information. This cognitive bias is often developed at a young age when it is reinforced through our learning process. Anchoring has a strong impact on our beliefs about money. The financial decision making process an individual moves through is reflective of their perception of money. For example, a person looks at investing in a company they may focus excessively on a certain element of fundamental analysis and use those criteria as a basis for evaluating the value of the investment, rather than considering all the proper elements of complete due diligence. The bias will cause the investor to view all future information in a manner that reinforces their decision. These decision traps commonly lead to investors staying too long with an investment as well as developing a very large blind spot with regards to the initial investment decision. Understanding the psychology of your decision making process will allow you to eliminate pre-conditioned bias’ which reduce your probability of making successful financial decisions. Awareness will also help you develop an objective decision making process. Scam and fraud victims are manipulated through the knowledge and experience their perpetrators have in the field of psychology. In order to insulate and inoculate yourself fully you must understand the psychology behind your financial decision making process. You don’t stand a chance if you haven’t gained full awareness of your anchors. 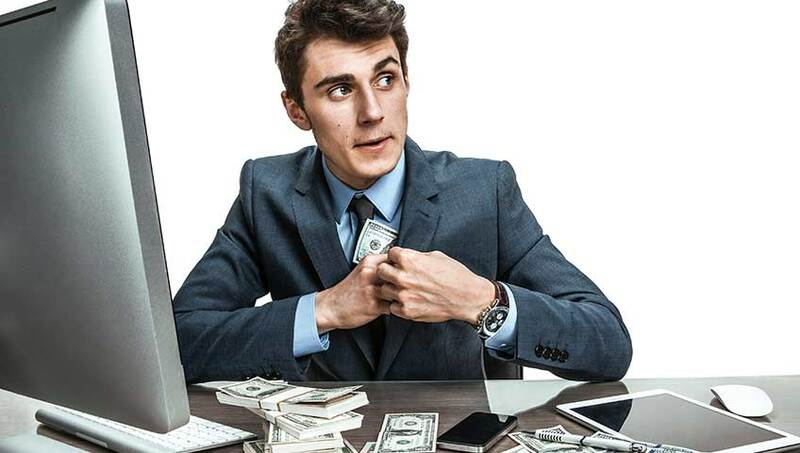 Believe me when I tell you that the professional scammers and fraudsters will find your anchors very quickly and devise a strategy to use to their best interests. What is the most important aspect of an investment for me? What is my due diligence process? What must an investment not have that makes me decide to say no? What must an investment have for me to say yes? As you read this, ask yourself if you might have been taken in by the former celebrity of an ex NFL player, and if you were a fan of his particular team would you have been more likely to buy into this credibility link? A former linebacker with the Philadelphia Eagles used the life savings of football coaches as a “personal piggybank” to fund a $10 million fraud, according to charges from the SEC. The commission is seeking to permanently bar Merrill Robertson Jr., also a former broker with Merrill Lynch, and his alleged co-conspirator, Sherman C. Vaughn Jr., from the industry, as well as demanding the return of funds allegedly taken from investors. Robertson and Vaughn could not be reached for comment. Robertson, 36, played for the Eagles from 1999 to 2001, according to virginiasports.com. He worked for Merrill Lynch in Richmond from 2008 to 2009. Vaughn, 45, holds a bachelor’s degree from Virginia Union University, the SEC says, although he portrayed himself online as a “doctor” and a commercial real estate investor. 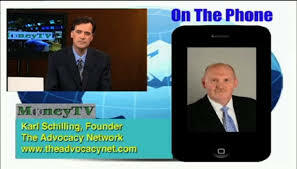 Both live in Chesterfield, Va. Vaughn was never a registered broker or investment adviser, according to the SEC. Aside from a few restaurant investments that failed in 2014, most of the business activity purportedly undertaken by the two men’s firm, Cavalier Union Investments, was entirely fictitious, the commission says in its complaint filed in federal court in the Eastern District of Virginia on Aug. 10. To win over prospects, Robertson and Vaughn promised fixed rates of return of between 10% to 20% on the largely nonexistent investments, while also promising “safety and security” for investors, the complaint says. In all, Robertson and Vaughn misappropriated nearly $6 million of investors’ funds to pay for their “luxurious” lifestyles, which included high-end clothing, vacations and spa visits, according to the commission. The funds came from unsophisticated senior citizens as well as alumni of and football coaches at schools Robertson had attended, including the University of Virginia and Fork Union Military Academy in Fork Union, Va., says the SEC. Fork Union’s president, Rear Admiral J. Scott Burhoe, did not return a call requesting comment. Nor did any members of its football coaching staff at the school. Calls to the coaching staff of the University of Virginia also were not immediately returned. Robertson and Vaughn allegedly spent their clients’ savings “on things like cars, family vacations, personal debt repayments (such as mortgage debt and credit-card debt), luxury goods, clothing, entertainment, educational expenses for family members, and a luxury suite at a football stadium,” the complaint says. The website for Cavalier shows a logo for Burger King, although the company never owned any of the fast food chain franchises, the SEC says. A section of the website, Cavalier Union Energy, contains nothing more than definitions of various metals, including lithium and terbium. It fails to mention that Black Bull never had any clients, nor managed any funds, the SEC complaint says. Vaughn also did not disclose to clients that he filed for personal bankruptcy four times, including twice while he was soliciting funds for Cavalier, according to the SEC. The U.S. Attorney’s Office for the Eastern District of Virginia has announced criminal charges against Robertson. The commission points out that a search under the two men’s names would have revealed that neither were registered with regulators as brokers or advisers while running Cavalier. Bankruptcy records also are public. The major key to protection from financial victimization is awareness. This starts with your own beliefs, values and understanding about money. How you view money is a traditional condition of how you make financial decisions and whether those are good or bad depends upon you awareness. YOUR Best Interest Is OUR Only Concern.